CES uses state-of-the-art products to ensure your solar installation is the most energy efficient and cost-effective option for your Sacramento area home. At California Energy Services, we offer free consultations to homeowners interested in solar. Using information you give us, we generate a Custom Solar Report. Your home’s Solar Report gives you insight into what to expect, including Resale Value, Payback Period, Environmental Impact Analysis, and Side-By-Side Comparisons of your electric bills, before and after solar. Through a partnership with Solar World, California Energy Services brings you high-performance solar panels for your home. USA Made - America’s solar leader, made in the US since 1975. Quality - Expertly designed, cost-effective, and meticulously tested. Value - Designed to create clean energy for at least 25 years. Microinverters convert direct current from a single solar panel into electricity that is fed to the electrical grid. Enphase Energy is the trusted microinverter option for all SolarWorld solar systems. Each inverter features unsurpassed reliability and power, generating more energy with each module than any other microinverter. Enphase products keep your solar power system consistently productive, reliable, smart, and safe – increasing the energy harvest by up to 25 percent. Each microinverter comes with “Enlighten:” Enphase’s beloved and easy-to-use remote panel monitoring site. Enlighten allows solar owners to experience their solar through an engaging interface that displays energy production, system health and environmental benefits. Like us, Enphase’s vision is to make solar simple and energy smart. California Energy services is here to help. Call us today to get started. Read our Solar FAQs to learn more. Put That Hot Sun to Good Use... Go Solar! We often complain about the sun’s rays and what they mean for our air conditioning bills during the summer months, but there’s no getting around the fact that the sun is the most powerful resource of natural energy in our universe. So, why not take advantage of the massive amount of power that the sun has to offer? California is the nation’s leader in energy efficiency. We’re continuing to make important strides towards finding better ways to source electricity. Take a look at solar power: Californians are so invested in solar that we’re the first state in the country to generate more than 5% of electricity from utility-scale solar. “Prompt and professional. I was impressed at the quality of installation and the competitive price of it all." 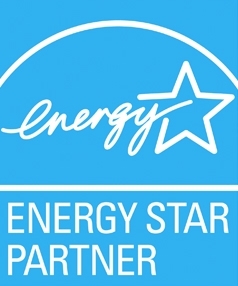 "California Energy Services was very helpful before, during and after installing our solar system. The company was very responsive to our needs and installation was fast and professional"